I wanted to share my new favorite hair washing essentials with you ladies today. I have been a big fan of Living Proof for a while, but I recently switched to the No Frizz formula Shampoo and Conditioner and I am extra obsessed! I can't foresee myself using another shampoo and conditioner anytime soon. This definitely keeps my frizz at bay, whether I am drying my hair straight or air drying curly. My second and third day hair definitely has less frizz than before too. Those are the days that I am usually adding in major dollops of serum and spray to keep the tiny frizzies at the top of my head at bay, but no more! 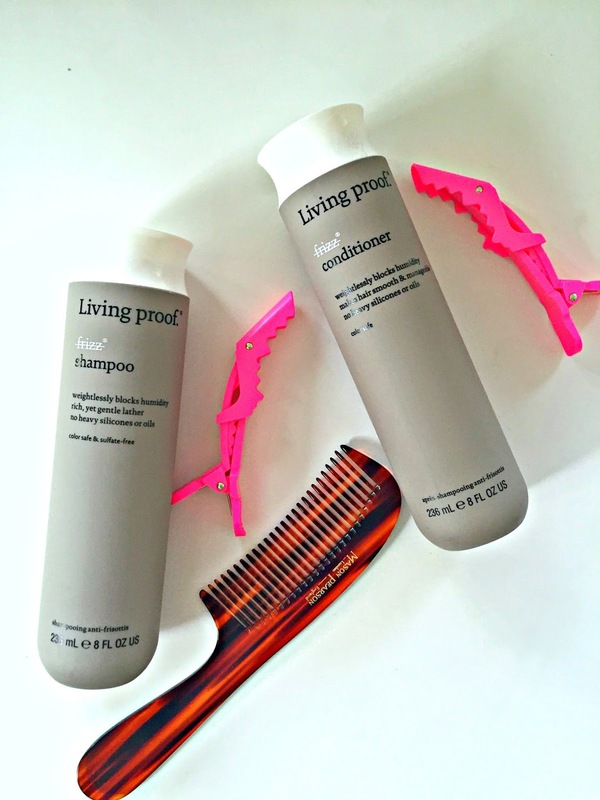 The Living Proof products are sulfate, oil and silicone-free, making them a huge win in my safer product book! My mom gifted me with a Mason Pearson comb last year and it has become a huge favorite for me and Avery. I was a solid believer in the wide tooth until I met this baby. Even with the teeth so close together, it combs through easily and gets knots out. Avery has extremely knotty hair and this has been making a huge difference post bath or shower for her. It's also great for using when you're straightening your hair with an iron and want it stick straight, and for teasing. 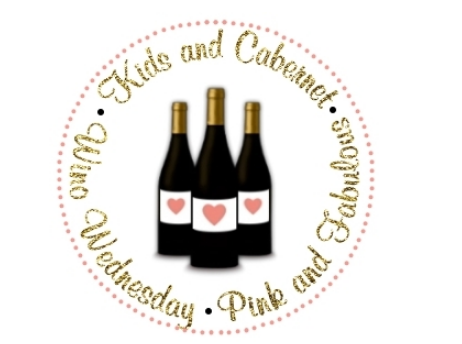 The pink alligator clips (thanks Amanda for the great find!) are perfect for holding your hair up while you style it and not getting a crease. If your hair is long enough they also hold a loose bun in place easily. These are seriously so awesome! I use every one of these products daily right now and love them! I use them on Avery too, because at seven, she is getting real hair that is thick and wavy. She is giving her two thumbs up, seal of approval too! I've been using LP's Perfect Hair Day shampoo + conditioner for a couple months now and love it! Also been dying for a Mason Pearson brush - didn't realize they had combs too which are a little more wallet friendly, ha!